It started with a session by school Counselor on “Promoting Independence in Pre school children”and making the parents understand the importance of foundation period in an individual’s life and how it affects the shaping of their future personality altogether. 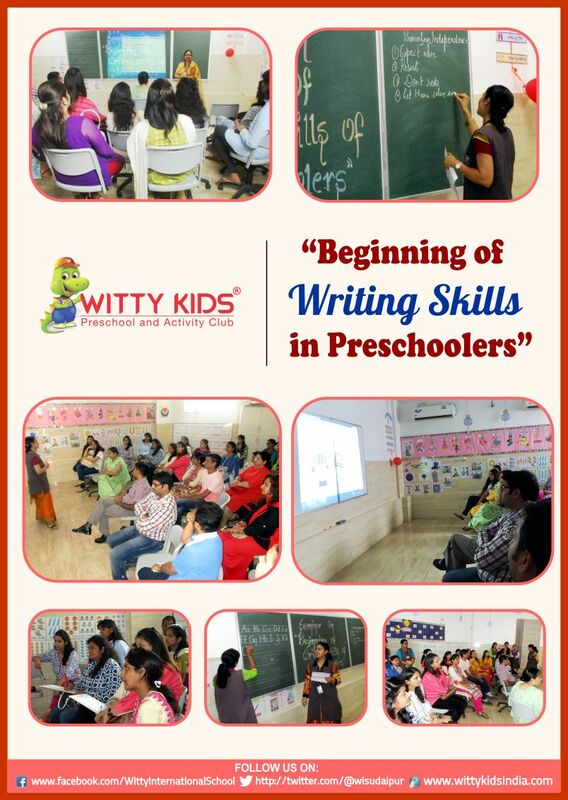 The most important thing for parents to remember is that writing during the Pre School years may be messy; the goal is to help the children understand how writing works, that it connects in meaningful ways to reading and communicates information through words and symbols. 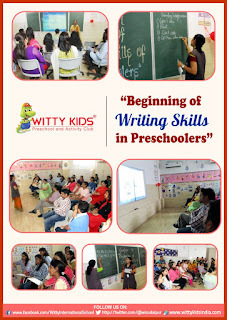 Parents were then given information on how the foundation of all good handwriting begins with the pencil grasp and proper letter formation (i.e. top to bottom) skills. The teachers and the coordinator demonstrated how each alphabet is to be written and the enthusiastic parents practiced the same.